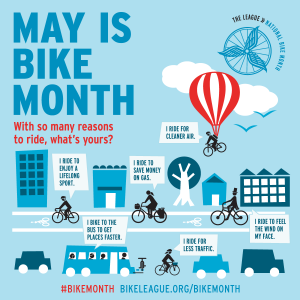 Bike to Work Week 2015 is May 11-15! 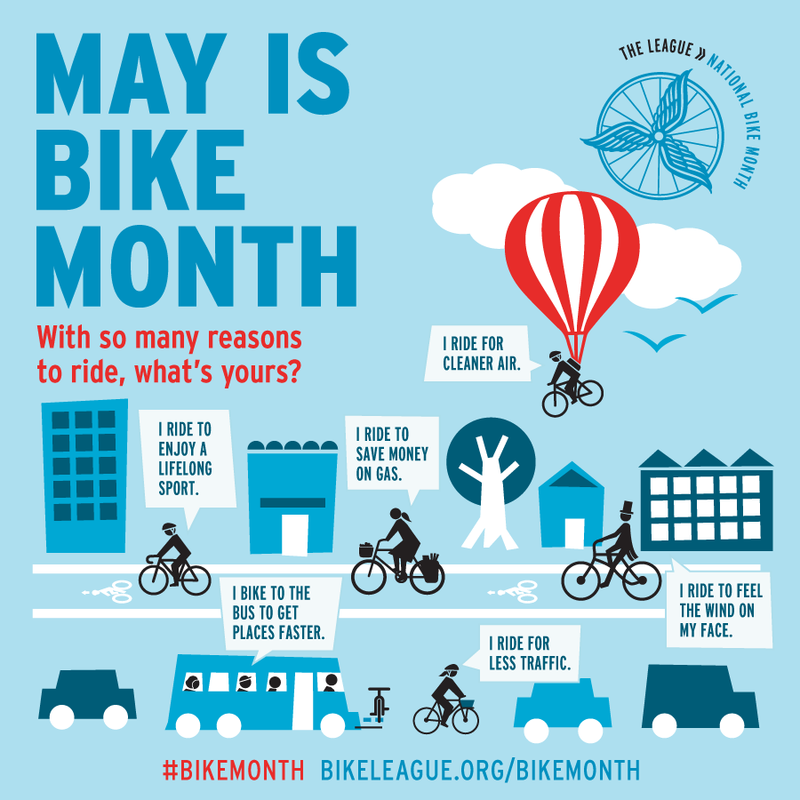 We hope you’ll ride your bike to work or school! Follow all traffic laws. Obey signs and traffic lights. Use hand signals. This tells motorists what you are intending to do. Be predictable! Beware of parked car doors-they can open at any time. Give 5 feet of clearance if you can see a person in the car. Never ride against traffic. Motorists are more likely to see you. Be alert. Always know your surroundings. Do not wear headphones! Clean the bike thoroughly, using a brush and a damp cloth (not too much water). As you go over all the parts of the bike, check everything for wear and tear. Inspect the brake pads. They should be evenly worn and smooth, not hard. Most will have grooves or marks on them to indicate when they need to be replaced. Squeeze the brakes a few times to make sure they are functioning well. Tighten any loose bolts or screws. Spin the pedals and wheels (with the rear wheel elevated) to see if they are true (not wobbly). Also check each gear. If it’s difficult to shift from one gear to the next, you may need a new chain or derailleur. Inflate the tires (after inspecting them for splits, tears, or bubbles). They should be firm but not close to bursting. 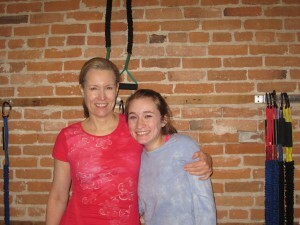 In honor of Mother’s Day, we are spotlighting Mother Daughter Fitness. This week we will feature the first of our three active Mother Daughter Fitness teams. Maura: I cannot remember exactly! Devon: I did a few solo workouts and eventually we just decided to come in together, and that was it! Maura: With our busy schedules, it is nice to have a weekly activity to do together. 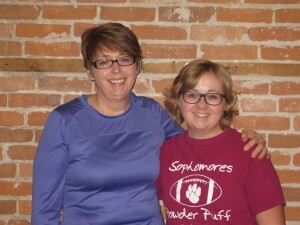 Devon: It’s awesome because we both like being active and it’s a social time for us. 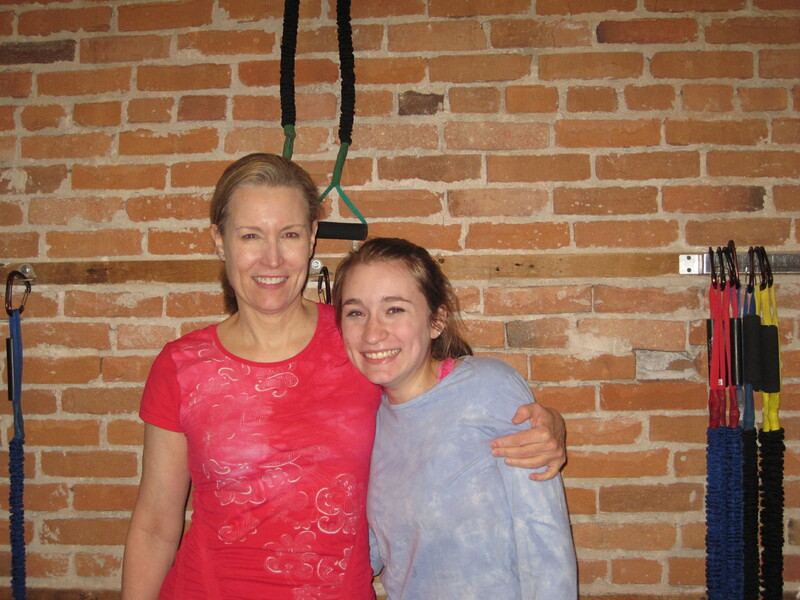 As a Mother’s Day gift, which exercise would you like to elect your daughter to do for you? Maura: I can’t think of any. Most of the exercises are fun. 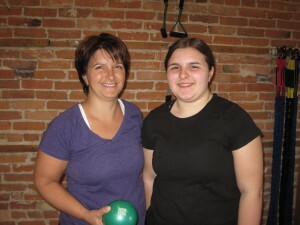 Watch for another Mother Daughter Fitness team next week!